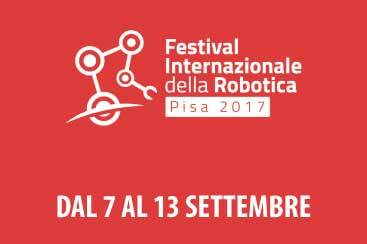 Robotics International Festival is promoted by principal institutions of Pisa and Tuscany. It collaborates with universities and research institutions. has got prominence in the society. The robotics Italian research, the robotics industry are at the first place in the world for the robot and automatics machines production. Tuscany, in particular Pisa is really good at robotics research system since 80. After the success from the last year during the days of 29 and 30 of April, for the congress “the Pisa robotics: reality, opportunities, prospective, research, formation, applications, industry”; a desire to promote in Pisa the robotics international festival was scheduled. It lasts a week, from the 7 to the 13 of September. In fact, Pisa has got the role of International leadership for the research and the application of robotics, it is considered in fact the “city of technologies”.